Living next door to people that allow their dog to bark during the night, or even during the day when they might not even be home to know it’s happening, can be an absolute nightmare. Scrap that. It is a living nightmare. Once the sleep deprivation and frustration kicks in, your patience and tolerance gets tested to the limits. It’s little wonder then that neighborhood noise such as barking dogs is so often a cause of friction and even abuse between neighbors. Avoiding conflict with your neighbor is important, so what can you do to address the problem of their seeming lack of concern for the noise their dog is making and the disturbance they are causing to you and other surrounding neighbors? 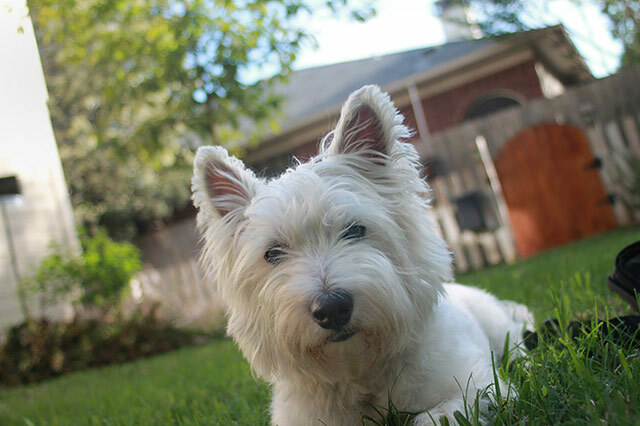 What can you do if the next door neighbors’ dog just wont stop barking? Here are some options to consider. This can be a daunting prospect, or it could be a simple solution. That will mostly depend upon the state of your relations with your neighbors or with the property owners where the dog lives, if it’s not your direct next door neighbor. If you are comfortable with knocking on your neighbor’s door and speaking calmly with them, this is a good approach provided you are as certain as possible they are not the hostile type (you probably have some idea of their temperament if you have been living there a while, but new neighbors can be tricky to figure out). You might already have some idea of what is causing their dog to bark. Is the dog being neglected in the yard day and night? If so, you could consider lodging a report with your local animal welfare society so that they can check up on the welfare and living conditions of the dog. If you simply don’t know the underlying reason for the barking then it’s important not to make accusations unless you have proof of any wrongdoing by the dog’s owners. Whatever the case may be, if you feel it could be risky knocking on their door for whatever reason, popping an anonymous note in the letterbox can be another avenue to take. What to write on the note? Simply state as politely as possible that their barking dog is becoming a disturbance to the peace of the neighborhood and you (and perhaps other residents) would appreciate if greater control could be taken over the dog’s noise. Make it known that if the noise continues, you regretfully might have to take further action by reporting the animal to authorities but you would prefer not to have to do that. Speaking with your neighbor about their dog’s barking noise can lead to a peaceful solution without fuss – if you’re lucky. If you think that the dog might also be disturbing surrounding neighbors, consider speaking casually with them first if you don’t feel comfortable directly approaching the noisy dog home straight away. It’s very likely that others living nearby are also fed up with the dog barking and some might already have started taking action. It would be a good idea to know if anything has previously been done, or if anyone in the surrounding homes have possibly already approached the offending property owners. If not, you could come up with a more solid plan of action with the support of one or more other neighbors. It can give you more confidence when working with others, rather than feeling like you have to solve the problem alone. A common problem besides night time barking is having a neighbor’s dog bark incessently at you whenever you are out in your backyard. If your property doesn’t have proper boundary fencing that cuts off visible contact with the dog, this can be a source of the problem. Thankfully, it’s also one that can easily be fixed. Yes, it can cost quite a lot to install a full length, solid boundary fence if one doesn’t exist there. If you don’t think your neighbor would want to split the cost of a fence, the next best option is to turn to gardening and privacy screens to block off the dog’s line of sight into your property. Now that’s a hedge that would block out any barking dog! You don’t have to go this far, but a dense shrub or hedge growing along your fence line can act as a mild noise dampener as well as blocking sight of the barking dog next door. Remember, dogs are only short animals so you won’t have to wait long for plants to grow high enough to start providing much needed privacy. 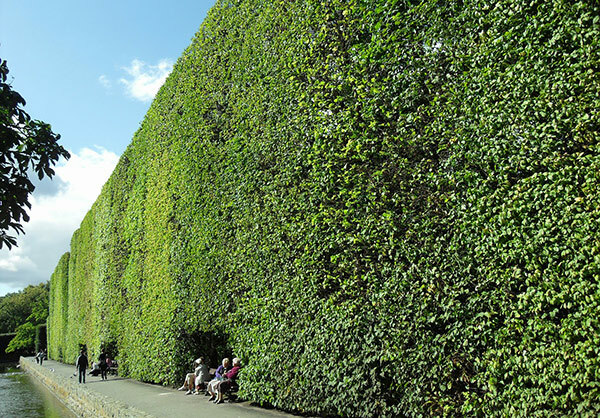 Fast growing hedging shrubs are the best option as these grow thick enough to completely block of the line of sight. Ask at your local plant nursery about which types of plants they recommend. While this won’t stop a dog barking for other reasons than looking at you through the fence, it does not do any harm to attend to your fence line as potentially part of a solution to the neighbor’s dog barking problem. It will also make your property look great! Educating yourself about local regulations regarding noise problems is important so that you know what your rights are and what sort of formal action you might be able to take. Depending on what country, city and local county you live in, rules and regulations and complaint processes will vary. Checking your local council website is a good place to start. In some places, noise complaints are handled by local or state environmental protection authorities instead. 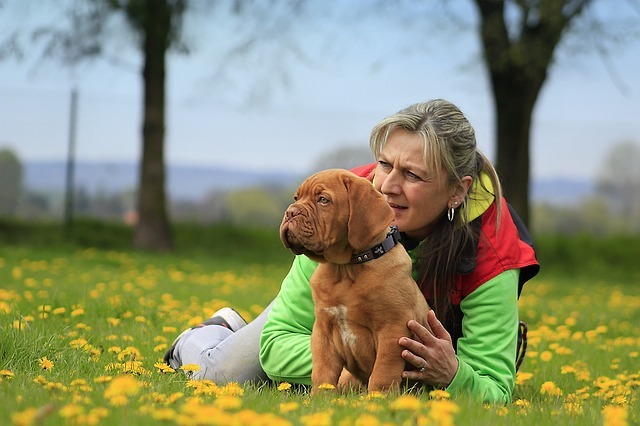 A dog that is left alone constantly is going to bark – a lot – and in some instances you could be dealing with a case of animal cruelty, rather than just a neighbor who is unsympathetic to the people around them. If you have clear evidence or a strong suspicion that a dog is locked up or neglected in the backyard of your neighboring property, which naturally will result in consistent and excessive barking, then contact your local animal welfare organization so that they can investigate. Remember; there are many reasons why a dog will bark and neglect is one of them. If you feel you have exhausted other avenues of trying to solve the barking problem and you believe it is not a case of neglect, or if you simply don’t feel comfortable approaching your neighbor, then reporting the issue to your council or noise pollution authority might be the action you need to take. Keep in mind that in some locations anonymous reporting may not always be possible, so consider the possible repurcussions if you’re not allowed to make an anonymous noise complaint. 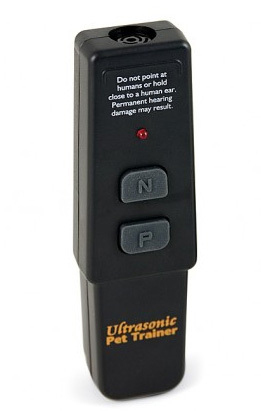 A remote device like the Petsafe Collarless Ultrasonic Remote Trainer emits a high frequency ultrasonic sound when you press the button on the remote that only dogs (and cats) can hear. Some people choose to use them on their own dog to help control barking, but many people have also resorted to purchasing one to address the problem of a neighbor’s barking dog. This particular model from Petsafe requires you to be within 30 feet (about 9 metres) of the dog so is only suitable for smaller properties. It can be used on dogs of any size and contains two tones: one negative and one that is considered positive, which is used for reward purposes. Something to note is that if you have a dog or cat in your home, they will also be able to hear the ultrasonic sound. While using an device like the Petsafe remote trainer is a good potential short term solution, it is unlikely to provide a long term fix for a neighbor’s barking dog. However, it can certainly buy you some time, or just be saved for use on those nights where you absolutely can’t stand the barking any longer and need an instant solution. Two other options involving using a harsh sound to interrupt dog barking is to consider either a dog whistle or an air horn. Yes, these are being used by more and more people who have not had any success with other methods of stopping dog barking. I’ve written a full guide and review of using air horns for dog barking, so consider that as another option along with ultrasonic devices.